Surprisingly, the first day of Spring is tomorrow! As we (hopefully) exit the cold and into the warmth, it is time we start cleaning! Spring will begin tomorrow March 20th. Although we have had cold weather and a few refreshingly warm days, we should all begin to prepare our homes for Spring. So, why is it magically warmer in Spring? Well, it isn't magic; it is science! The Earth is on an axis and tiled. At this time, the Northern Hemisphere is beginning to tilt toward the sun. When it is at its complete tilt, it will be Summer. But, between those time of tilting toward and away (Winter), we have seasons like Spring and Fall. So, even though it is a little cold, that does not mean we should keep our minds in winter mode. Let us all be optimistic and begin with Spring cleaning! Check out our list of tips for preparing for Spring! Drain Winter Machinery: Now that we are in no danger of anymore snow storms (hopefully), we must drain our snow blowers and generators for the season. This will ensure that they will work next year instead of rusting. Put the Screens Back in Windows: Now that it won't be very cold, as you clean the house, you can have windows out. Chimney Cleaning: Generally, call in a professional for these types of jobs to ensure the safety of your chimney. Dust the Whole House: With windows mostly closed, dust does not circulate outside, so be sure to do an extra good job dusting as to prevent allergies from being overbearing. Carpets and Rugs Need to be Cleaned: With the parties and festivities of the winter season, your carpets and rugs will need a good vacuuming. If it is too big of a job, there are plenty of great businesses to help you out. Clean Out Those Gutters: Probably filled with leftover leaves, gutters will be necessary to clean. Remember April showers bring May flowers. Uncover Air Conditioners and Maintain: Maybe it is not warm enough for your air conditioner or central air system, but you want to make sure they work this coming Summer. Bring Out Patio Furniture: When the weather gets warmer, you are going to want to be outside! Don't Want to Clean? : There are many great cleaning services available to get your house the deep clean it needs. 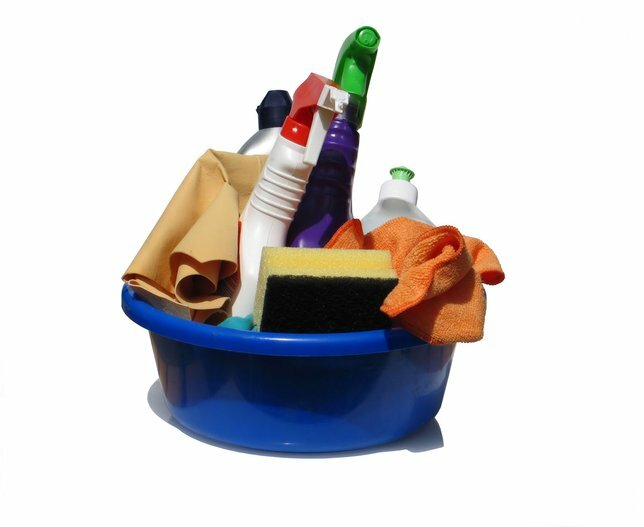 What is your Spring cleaning plan? Any Long Island services you use to help you? Tell us in the comments below! Subject: LongIsland.com - Your Name sent you Article details of "Preparing for the Warmer Weather: Spring into Spring Cleaning"